Boat covers for all types of vessels. In Sunbrella, Stamoid, Herculite and other marine grade fabrics. Shop at Salty Stitches Marine Designs and Fabrication. Pay over time. There’s nothing quite like a day in the sun. The unyielding, blistering sun. Rain doesn’t ruin a sunny day, sunburn does. And our USA manufactured custom bimini tops and boat enclosures offer UV protection that keeps you comfortable and on the water longer. Our best-quality, marine-grade materials stand up to the sun summer after summer, giving your family a cool way to getaway and relax out of direct sunlight. 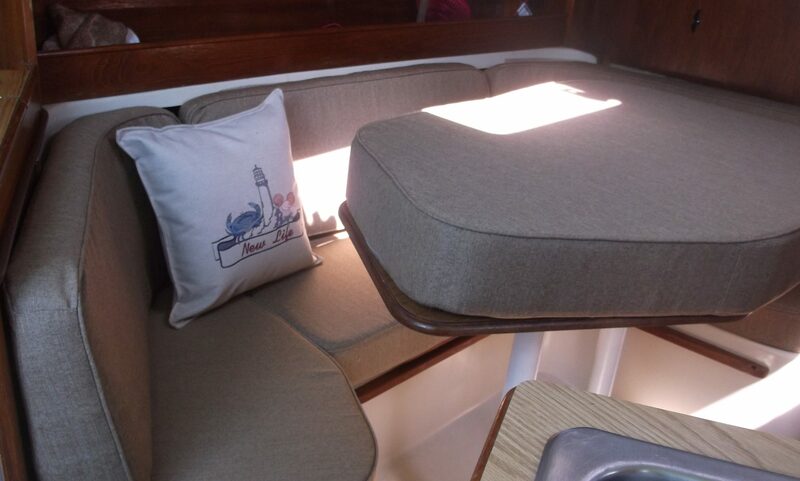 What’s more, enclosing your top curtains can protect you from harsh elements and can be used when mooring at the dock. The best part? Every inch of your enclosure is built to your exact specifications. There is simply no better fit for your boat. We handle many projects and offer many styles to fit your project. Please take a minute to review some of our finished work. Read about industry news, care and maintenance of products and other news regarding the Marine Design and Upholstery industry.